Magnet Directory - HELP ME BRAINSTORM! I'm an offline marketer of whom typically focuses on simply websites and mobile websites for small businesses. I've been doing well, but the idea of selling advertising intrigues me. I think it's important for me to test out new concepts like this one to keep me motivated. New projects like this excite me! I'm going to start by creating one magnet (probably 4" by 6") for the city I'm currently living in. If there's a high demand and I find myself selling ad spaces with ease, I might divide the city into four sectors (north end, south end, east end, west end) and create magnets for local businesses in each area. Is this a good idea? a) People who receive the magnets will be more likely to keep it and utilize it if they know it's in the vain of supporting the local economy. b) Business owners who are crazy about buying local (and a lot of small business operators are!) may be less reluctant to buy if the message is such a positive one! Anyway - I've got a couple questions that hopefully you guys can help me out with! 1) In terms of distribution, what is the best route to go? I've been thinking a lot about putting them in pizza shops, real estate offices, etc. to be distributed. However, would it be a bad idea to pay a couple teenagers to go around closely-selected neighbourhoods and distribute them? Which route should I take here? 2) For the directory, I obviously want to be able to get as many different businesses/ads on there as I feasibly can. HOWEVER, I want to keep each business exclusive to one company each, mainly because it's good for the pitch. That's what I came up with after brainstorming for a few minutes. It'll be interesting to see what you guys can come up with! Any other advice/suggestions on the topic would definitely be appreciated, as always! There's tons of threads here on this - a quick search will get you better gas mileage than starting a new one. I don't know how many magnets you plan to distribute, but why not have the participating businesses help distribute them? Depending on how many magnets, they can take a "big chunk" off your hands..
Have you stopped to think that there are a ton of stainless steel refrigerators out there that the magnets will not stick to? However there is alternative material. 1) I did the "Magnet" thing some yrs ago. I called one, "Welcome Magnets" and sent them to "New Movers" every month. Important Numbers at Top and 4 columns of Ads below. The other one I provided for Restaurants to give out with their "Take Out" orders. In center was a modified "To Go" Menu and around edges was Ads. 2) Do NOT ever....do part or all of your distribution by giving the Ad Item to participating Advertisers!!!!!!!! Because they will NOT distribute them!!!! Jon, really nice to see someone taking action and I wish you much success! Nice suggestions - they're really solid because it's very easy to get in touch with DM's. Got me thinking and I realized I know few people who run computer repair / assistance businesses - perfect! Appreciate the help and advice from everyone. Feel free to jump in and share your ideas if you haven't yet. Well... I would have to disagree with not allowing advertisers distributing some or all of the magnets, I've seen and have been involved with this type of program and it works. It won't work if you're "lazy" and don't present it as "part of the program" and is included in the contract/agreement. A number of years ago I helped a friend that had a similar program w/magnets for local businesses. Part of the presentation included a requirement to distribute a certain number of magnets, as a way to promote themselves as well as other local businesses. In doing so, they received a "discounted rate" for having their information included on the magnet. My friend suggested ways they could distribute the magnets, mail to current list, offer at checkout, leave one with a customer in home, etc. He set a 3-month time period to distribute the magnets and followed up regularly to find out how many magnets they had left. Some businesses distributed all of them in a few weeks while others took longer. In fact, some of the faster distributing businesses took remaining smaller businesses that were slow in distributing the magnets and did it for them. It was presented as a "team effort" and it ultimately was one. All in all it was very successful for all involved. It takes effort from the marketing consultant, but it was well worth it. In the next town, I did the method where each person on the magnet would get some to put on their counter and pass out. I thought it was brilliant at the time, but turned out to be a MUCH harder sell. In the end, I had to barter just to fill the magnet. I couldn't even get it off the ground with this method in the third city. So, in the end, I'll never try again with that distribution method. I will most certainly do the parade magnet again this fall. New businesses have already told me they want in! I'll raise my prices, print more, and make the magnet a little bigger, too. So, try the method with teens passing them out door to door, and report back on how that goes. I think they make doorhangers that have magnets on them, actually. Might be a cool idea. Good luck! It can be quick and easy, or really hard. I've done it both ways! Thanks for the response, Amy! In my city we have quite a few festivals in the summer and so I can see hiring some teenagers to distribute being a good idea. I think it could be a good selling note to tell the prospects that they're being hand distributed to ONLY the people who want one (is. The people who take a free magnet). This way, they know that the magnets made will be given to interested potential clients and not thrown right away. How much did you end up charging per space? How much do you plan to charge next time? Also, how much did you have to shell out to get the magnets distributed? (And how many magnets?). Did you cold call or walk in with a sample when selling the ad spots? Of course, most offices will have steel cabinets, so you will be fine there. Is this going to be an issue at all? Thanks for evoking the convo, Sasha. I hope it's not something I'll actually need to figure out. I have a hard time believing that the majority of refrigerators are stainless steel nowadays, even in 2013. I guess it's a viable thing to think about though. Will think about the clings. At the very least, if they don't have a fridge, it's a very sturdy "business card" list of phone numbers that hopefully they will keep handy. I charged $97. Listed just their name (or what they do, 3 words max) and their phone number. I printed on a 3x4 inch magnet. I think I sold 12 spots. I paid 4 teens $25 each to pass them out. GOOD money for them. It only took them about 20 minutes! They came back and asked for more because they ran out, and people were walking up to them asking for them! And I had given them strict instructions to only give them to adults, and not to be pushy. So, yes, they went to people who wanted them! So this year, I may charge $127, but print 1500. This is risky, though, because that $97 price point seemed like such a sweet spot. I'm afraid that once I go over $100, no matter the value, their brains will not be as open to saying "yes." Honestly, I may just keep it at $97, but sell more, so I can still print 1500. My plan is to always over-deliver. Last year I over-delivered by printing bigger magnets than they expected. Oh, and I cold-called. It can take a few calls or days to get the decision maker on the line, but once I did, I sold it quickly. Now, for the other towns, I went door to door, and found it to be a big waste of time because most of the owners were not there. So, for me, calling is more efficient. For payment, I took check by phone, and printed the checks. There are numerous threads on this. A couple owners preferred to mail me a check, but most didn't even question it. Easy, peasy! Thanks for sharing the experience! I have another question I'll PM you about. Appreciate it! I'm going to try cold calling some businesses to offer spots on the magnet. I'm having a little trouble coming up with an opening/pitch and I was hoping I could get some feedback, advice, or ideas. Here's what I currently have but I know it can be improved. Hopefully someone reading this knows HOW I can do so. Hi there, is the owner in today? Oh, perfect! My name's Jon and I work with small businesses just like yours here in London. Right now I'm actually creating 2000 refrigerator magnets to promote LOCAL businesses in the area, and I was wondering if you'd be interested in having your business on the magnet so that you can get your phone ringing with some new customers? Let me know what you guys think. Appreciated, as always! Tell people that they are going to be on a refrigerator magnet and they will get business and you will mainly get not interested and laughs. But then again if you are only trying to get $100 from each person then you can pretty much sell them ANYTHING that sounds REMOTELY legit and they will give it to you, forget the cold calling on the phone, walk around to businesses in the area, show them what you are doing and you can sell 12 spots in a day or two. Hey Eddie! Thanks for dropping in! I'm definitely going to try walk-ins in combination with cold calls. I'm seeing if my magnet manufacturer can send over a few samples - that way I'll have something physical to show the decision makers too. I JUST SOLD MY FIRST AD SPOT!! Kijiji (Canadian equivalent to Craigslist) is KILLER! b) The fact that the ad is up is proof that the business is actively seeking new customers. I only sent out 12 or so emails and about an hour later I got a phone call saying "I just got your email for the fridge magnets, how much??". I told him I'd get his number on 2000 magnets for $200. He thought that was a pretty good deal, and he's driving over in an hour to drop off the payment IN CASH and collect the receipt. Wow. I'm so pumped. I have a feeling these ad spots are going to sell fairly quickly. First time I've ever really used email to contact a DM and in this case it worked out. Wow, I can't believe email worked! Good for you! Neither can I. I never delve into email when I sell websites. I emailed some painters through kijiji after this and guess what.. ANOTHER INTERESTED LEAD! Gonna close it in a bit when he emails back his phone number. Seems like it'll be an easy one too. This is amazing! Take action, guys. Great stuff Jon. . What I like about the magnets is I can really see the value in advertising on them. If I received one I'd put it on my fridge and would definitely call a few of the numbers over the course of a year. Also. unlike many other forms of advertising there is no need to offer a steep discount to get customers. Thanks for the input, Don! I agree. Update: I've been sending out some emails (probably 100 or less) and I have 2 closed sales already, and 4-5 prospects have emailed me back asking for pricing and showing interest. This is great!!! Never thought email would convert this well for selling magnets. I'm pleasantly surprised so far! Just got a call by another interested prospect! That's 3 from a few measily emails. I'm surprised. Must be my lucky day! Couldn't close it right away (he had a very thick accent, hard to have a conversation) but he has a genuine interest and wants me to email him some details (probably a mockup too). Do you have a appealing design in mind Jon? I want to try this locally too and I want to see what design seems to work best and have the most benefits for the advertisers. Nothing specific. It's going to be a large magnet with a nice header and nicely aligned text. Maybe a nice background color too. It's obviously important to make it look as nice as possible so that people will want to leave it on their fridge. I'll probably outsource the design to a pro. figured out your estimated costs and profits yet? Yeah, hoping for an update! Get any more spots filled? ALSO - I am thinking I can also add some extra *ZING* to the offer by including a one page mobile website (with upcharge for full website). I mention this because the Jon, you mentioned you do web design and web marketing too. Since everyone and their mom is calling these businesses offering web services, I can walk in and say "I am a local marketing expert that specializes in both 'traditional and guerilla' local marketing techniques. One of the things I am doing is putting together a magnet, blah blah blah"
"I am looking to get this magnet space filled quickly. I noticed your business website is not mobile ready. If you cut a check today I will create a FREE mobile landing page with click to call and click for directions"
Might let you charge a little more for add space, since you are adding more value, and it can open the doors for a world of web related marketing opportunities without ever having to PITCH web related marketing services. Just a thought. Once you sell the first one....you are now committed! You either have to fill ALL the Ad Spots or....give refunds to those who've paid in....or....decide to take a loss and go ahead with the program with the few who paid in. "In-Person" sales has always worked for me. Phoning....email....direct mail are IFFY. I have enough confidence in my sales abilities that I can collect money from the first advertiser of a 20 to 30 ad program and have NO concern that I will FILL the spots. Hi my friend i am Definitely interested in your program.. where can i see it? Thanks for your interest, Ant Cash! My company, QRtstry, has developed a QR code management system that allows for new content to be delivered with each and every scan! 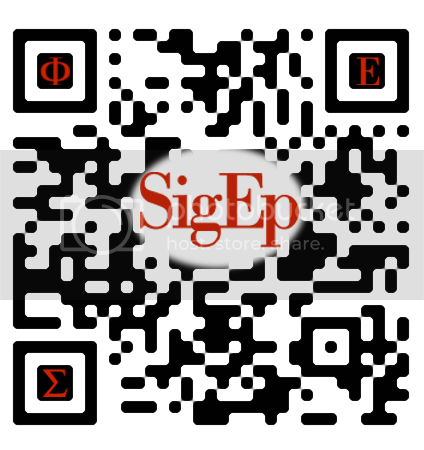 Here is an example of the codes basic function that we did as a demo for the fraternity Sigma Phi Epsilon. The first time you scan it, you are taken to a landing page description. You can click the button at the bottom "Take me to the deals" or scan it again and be taken to the next participating advertiser without the description page coming up again. Scan again, next advertiser, etc. 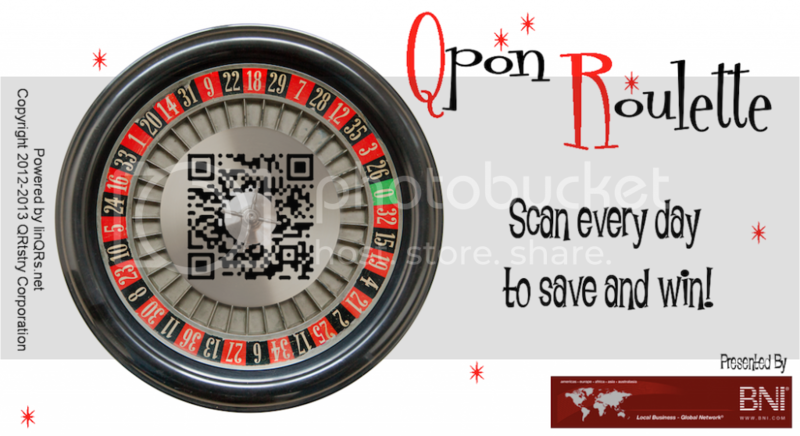 We are launching a new Qpon Roulette branded magnet product using that same system to help businesses immediately reach more consumers, share customer networks, deliver a monthly email offer, and spend less money on truly effective mobile marketing. We are currently looking for resellers to help us introduce this unique marketing product to businesses across the country. Campaigns can be customized to meet the needs of your specific target market. Contact me to learn more about how you can use this system to create an excellent additional revenue stream. Just keeping you guys updated.. Things are going GREAT. Lots of spots sold thus far.